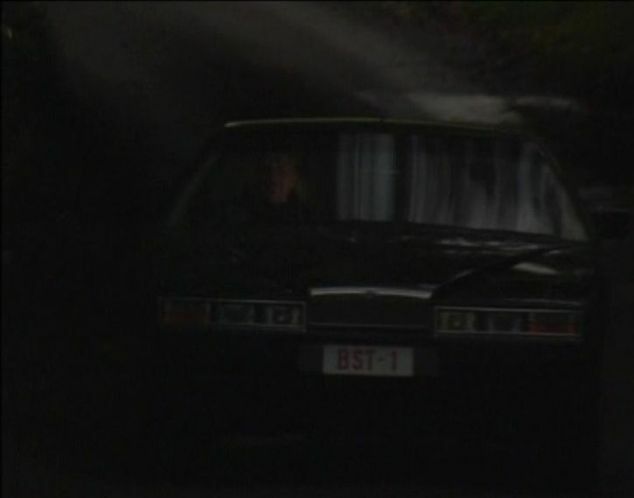 IMCDb.org: 1985 Aston Martin Lagonda MkII in "The New Statesman, 1987-1992"
Whilst Wikipedia gives 1976 as the date of unveilling it also says no cars were delivered until 1979. I left this blank as I was hoping someone might have been able to narrow it down a bit more than that. My book says (which is shorthand for I know nothing but can read and look at pictures) that first customer delivery was April 78 to Lady Tavistock, but serious production only got going late 78 for 79 deliveries - known as S2 because 1970s DBS-based Lagonda regarded as S1. This looks like US bumpers - fitted to all production from Sept 83 - and new wheels (same date). Jan 85 new wheels again. Jan 86 brought fuel injection (S3) but nothing external. March 87 new soft-edge body (S4) - which this is not. Wheels here are Jan 85 onwards so late S2 or continued into S3. S3 had small indicator ahead of front arch - impossible to see if present here. http://astonmartins.com/car/am-lagonda-series-3-v585/ .